Voici notre magasin en vente et location. Everything we carry in stock is available to rent. 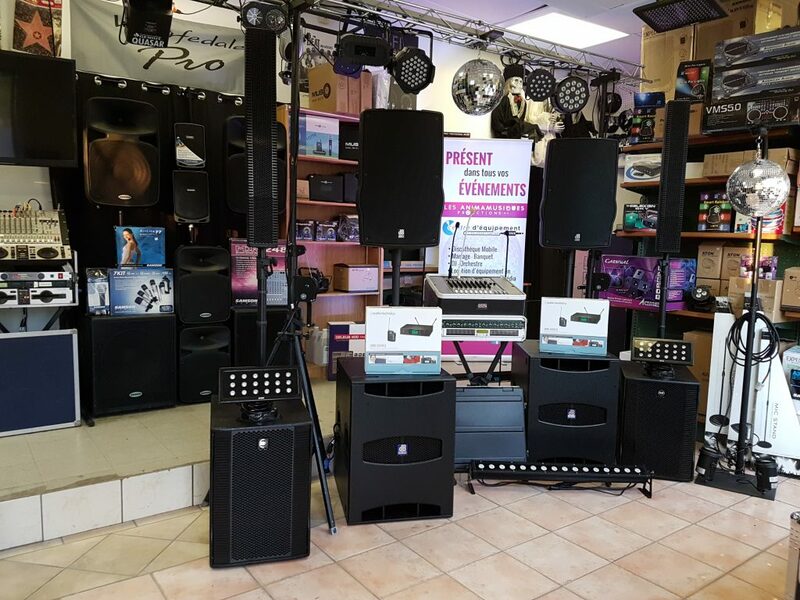 We have speakers ranging from 100 to 2000 watts – perfect for any occasion – wired, or wireless microphones, consoles, mixers, professional grade cd players (single or double), supports and cabling – and that’s just some of the audio stuff we offer. 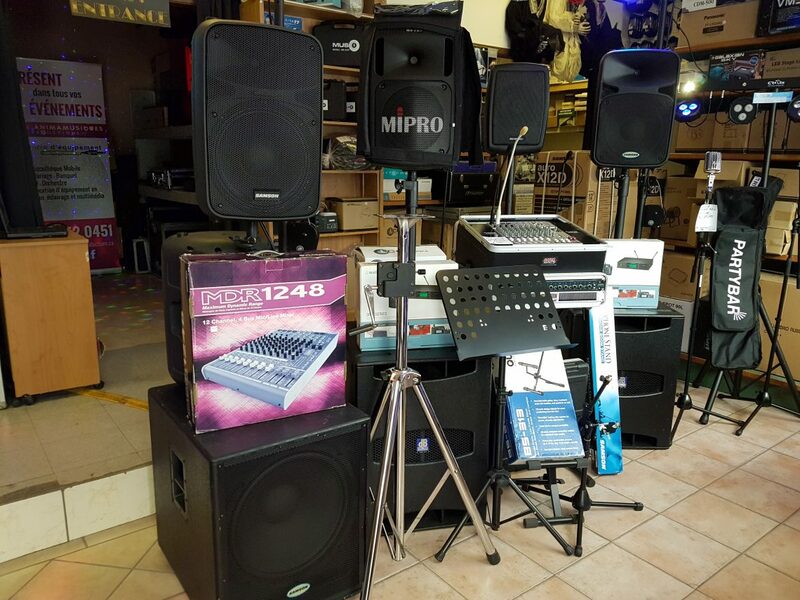 We also have light, stage, and projection equipment as well! If we don’t have it, we will find it for you. 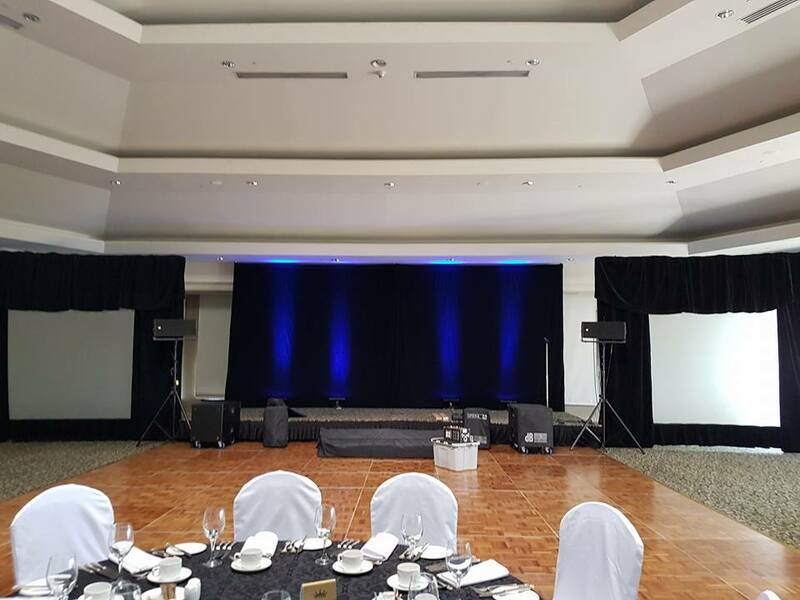 In addition to our expert advice – ensuring that you have all the equipment you need to make your event a success – we also offer a turn key installation service, if you need any help setting it all up.